It was functional but water would drip from the ball valve in operation. I suspect people on Youtube thought that my gas was dripping with tar, which wasn’t the case. 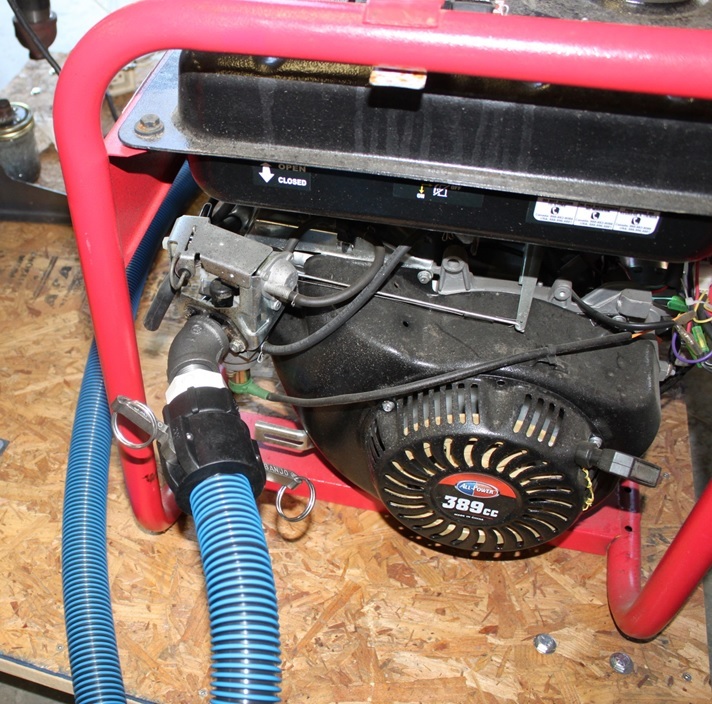 It was also somewhat heavy and I was afraid that the mass of the connections would damage the gasoline carburetor over time due to shaking fatigue. This has been a superior design based on the small amount of testing I have done so far. The one recommendation I would make is to use some amount of liquid fuel get the gas to the engine inlet as opposed to running the starter excessively. This engine has to turn over twice to pull in the volume of a 12oz Coca-Cola can and there are a lot of “Coke cans” in the volume of that gas hose and final filter housing. Some purists will have issues with this but we are only talking about a carburetor bowl full of gasoline(5-10cc?). Gasoline or ethanol should also be run through the engine at shut down to clear the engine of any moisture and ensure the fuel jets haven’t been clogged with soot so it is still a necessity in my mind. Another option for dealing with moisture is to reheat the gas above the dew point. I haven’t tried this approach so I can’t comment on it. 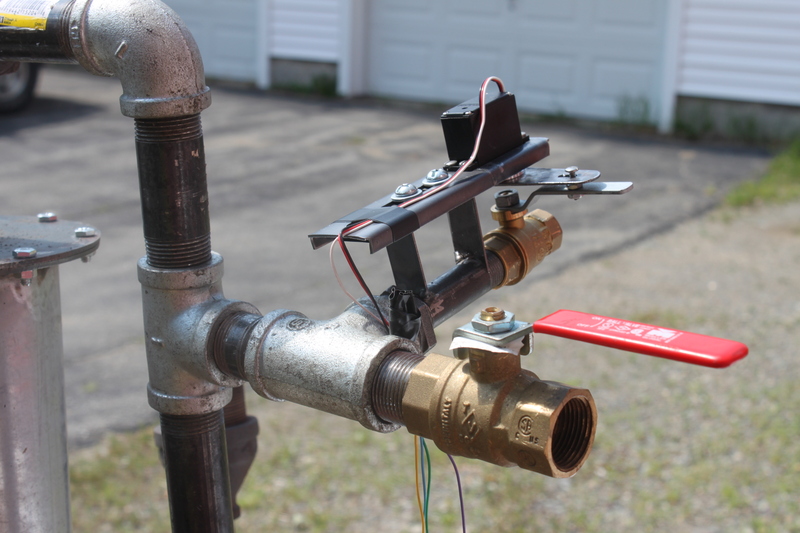 This uses an Arduino Uno to control a model airplane servo driving a 1/2″ ball valve. The Arduino receives input from an automotive oxygen sensor. 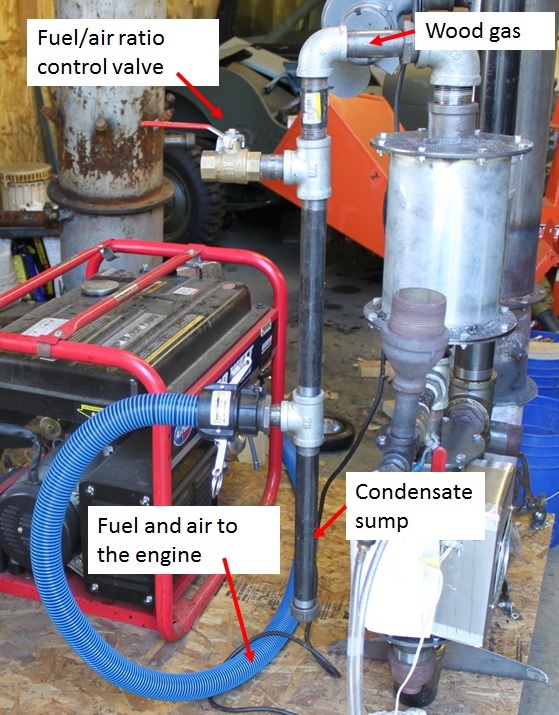 This keeps a correct fuel-air ratio regardless of how the fuel pile changes in the gasifier. These units will be available shortly under the “Get Hardware” menu option. I had tried various “carburetor” “topologies” too, but actually reverted to something similar to the one in your first picture. 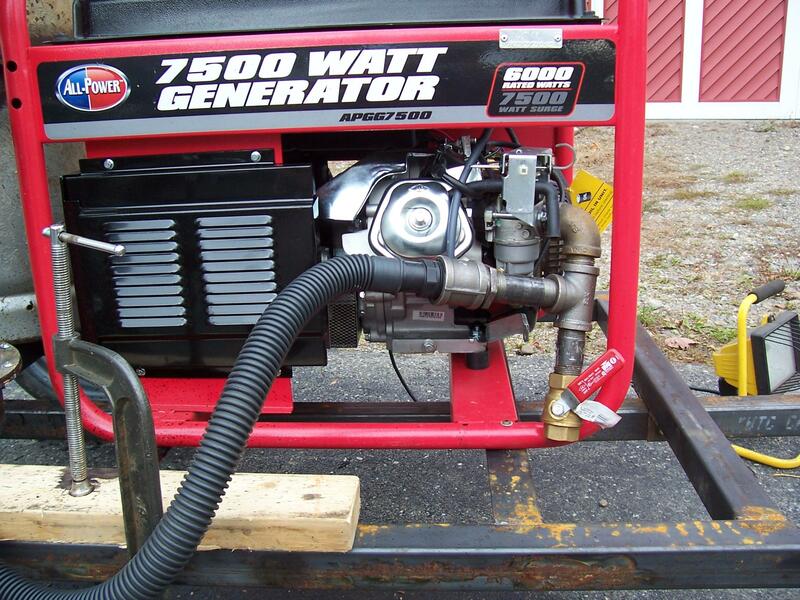 The reason was, that when I tried putting the ball valve far away from the generator inlet, it behaved very poorly when load suddenly changed. The RPMs started to oscillate up and down, up and down, and it was almost impossible to fix it even manually. This was all because the air was introduced far away from the inlet and there was a substantial amount of “lag” until it reached the cylinders, and governor couldn’t cope with that. On a side note, I’ll be trying to prepare my gasifier for the next winter – want to have it automated. I have a wideband O2 sensor and its controller, which outputs 0-5VDC, but need to convert that to a butterfly valve movement. Was thinking about something Arduino based, unless there’s a more simple solution. I would think a small shot of starting fluid would suffice Stephen, have you tried it?